Students listen to Amy talking to her mum. 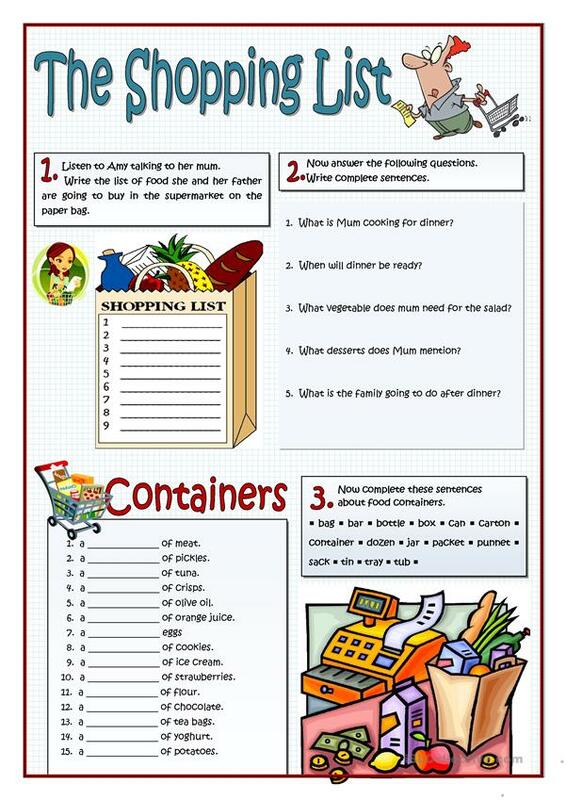 Then they write the list of food she and her father are going to buy in the supermarket on the paper bag and answer some more questions in exercises two. Finally students fill in the gaps with the most suitable food containers (more than one answer is possible in some of them). Script, key and answers are provided. The present printable, downloadable handout was created for high school students and adults at Pre-intermediate (A2) level. 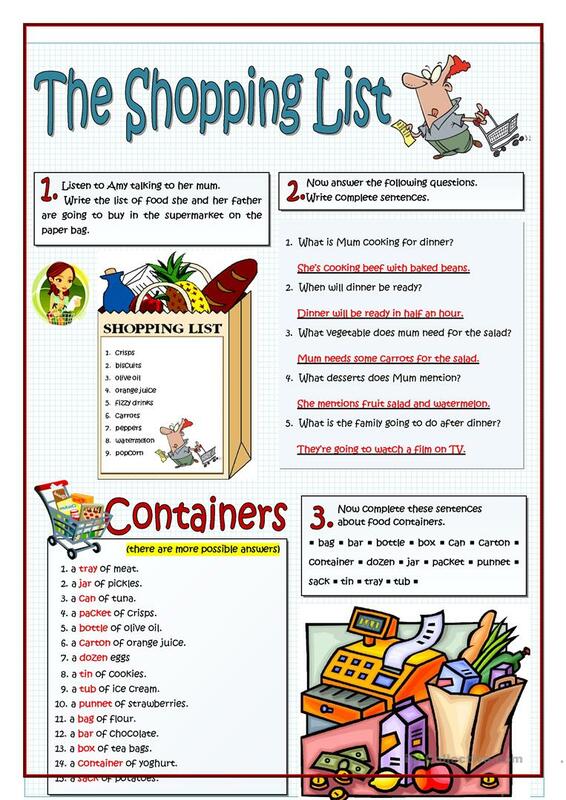 It is great for consolidating Verb tenses in English, and can be used for strengthening your groups' Listening skills. It features the theme of Food. The exercises come with the answer key.